If you’re a homeowner, you know the heavy burden water damage can place on your finances. Aside from immediate damage, water can promote decay and rot over time, causing heavy construction repair costs. This is especially true for your basement, which serves as the foundation of your home. Letting A-Proseal Basement Waterproofing secure your basement against water leakage is one of the best things you can do to take care of your home. There’s a reason people in the Island Lake, Illinois area rely on A-Proseal to help them protect their basements. They offer a full range of waterproofing services that will help ensure your basement remains dry and protected, even under the harshest weather conditions. Among their most requested services, A-Proseal Basement Waterproofing can repair tile drains and cracked foundations. Another service A-Proseal provides is discharging excess water from your property. After a bad storm, rain water accumulates on your property and may flood the ground surrounding your home. Most people leave this water to evaporate on its own or seep deeper into the ground. The problem is that it usually settles near the foundation, where it will gain access to your basement. Even if it doesn’t immediately crack the foundation, it will promote the growth of mold. Draining this water can spare you the added cost of repairing foundation cracks and rot further down the road. More services offered by A-Proseal include window well and exterior foundation repairs. Once repairs are complete, A-Proseal can go about waterproofing your basement to protect against future water damage. If you’re ready to see the difference a waterproofong can have on your home, contact A-Proseal Basement Waterproofing at your earliest convenience. They will work with you to provide a free estimate. This first-time consultation can help you determine just what services your home needs and what those services will cover. This is also an opportunity for you to learn more about the Waterproofing process and how to better protect your home against the damages caused by storms and heavy rainfall. 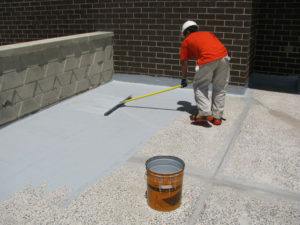 Contact A-Proseal today at 847-525-7394.